Enter the routers password here and click the submit button. 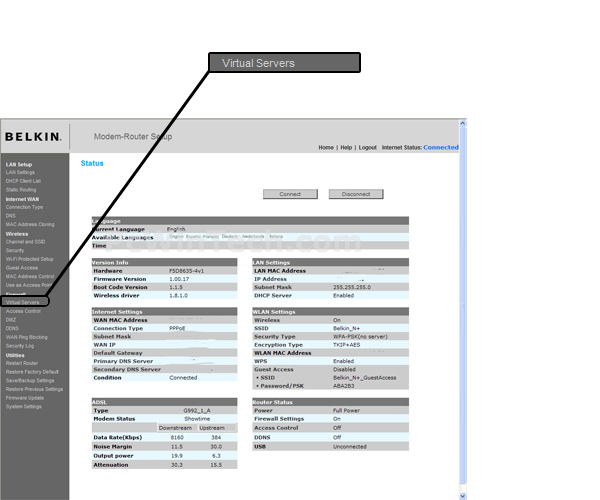 Once logged into your router click on the Virtual Servers" link on the left of the page listed under "Firewall". Now when the page loads check the enable box. For 'Description' give your entry a name. In 'Inbound port' enter the port to be forwarded. 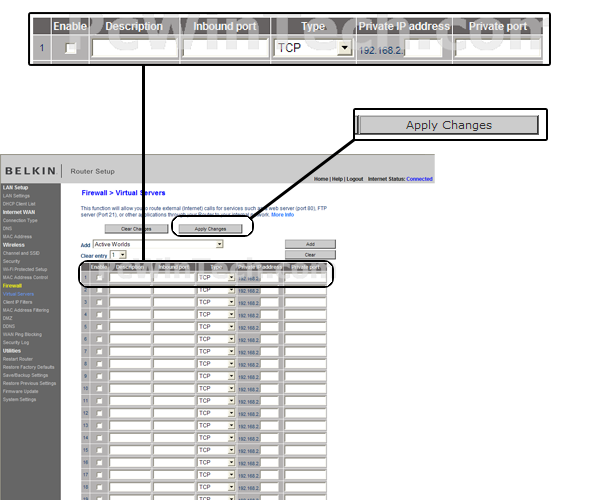 Select the 'Type' of protocol for the rule. 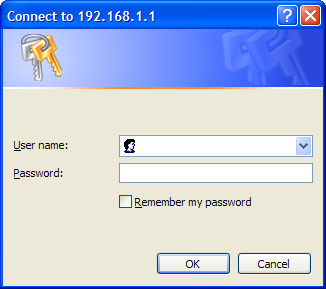 For 'Private IP address' put the local IP of the computer the port will be forwarded to. For 'Private port' put in the ending port to be forwarded. Repeat Step 5 to add more ports to the list. Click the 'Apply Changes' button to save the new rule.